So I make a good amount of fat quarter bundles in real life. It's part of a very nice job, of course, but this was a little more fun because I felt like I was choosing from every fabric possibly available, (probably not true, but feels that way at Fat Quarter Shop) and I didn't actually have to wield a rotary cutter. On the downside, I did not get to touch/ see these pretty things in person and now I want to spend money. I will show restraint, as I need to go on a New Year's fabric diet. If you don't have any idea what this is about, check it out here. Super fun idea. Did I mention I'm obsessed with navy lately? I'm pretty surprised how much purple crept in here too. I try to play hard to get with purple, but if I'm honest with myself I like it a lot in the right contexts. Before I show you some of the gifts I made others this Christmas, I had to show you the amazing handmade things my family gave me. They know I love some handmade. Nana made Elsie this owl ornament for her first Christmas. Here it is with the one she made Hendrix two years ago. I love how cute and unique they are, and the kids love them too. My mom also made me a mini quilt! Couldn't you die from the adorableness? I love how she free-motion doodled around each bird. This one is going up in the sewing room for sure. It's a project from this book. And Nick got me the entire Amy Butler Lark collection! Not exactly something made, but it will become something made. And he figured it out all by himself. It seems like people aren't too crazy about this collection, but it is by far my favorite Amy stuff yet. I've never been overly excited about her stuff before, but something about the colors in this one totally get me. I'm just loving navy lately and I love what she did with it here. He also got me those earrings from Etsy. They came with the most amazing packaging I've ever seen, including that little cut out card. 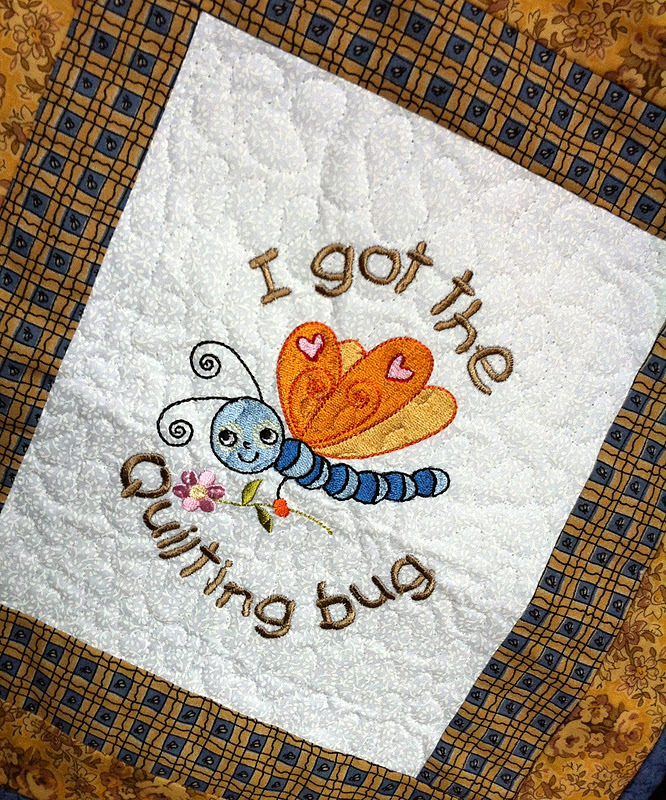 Finally, I had to show this mini my prolific quilter grandmother gave me when I saw her at Thanksgiving. Cute and very true. Hi Nanny! A Look Back, a Look Forward- Join Me! I hope everyone had as perfect a Christmas as we did! So much great family time, and even more to come this week. Lots of last-minute sewing of course, and I have many great things to show you. But for now, something fresh and new that I'm pretty excited about! 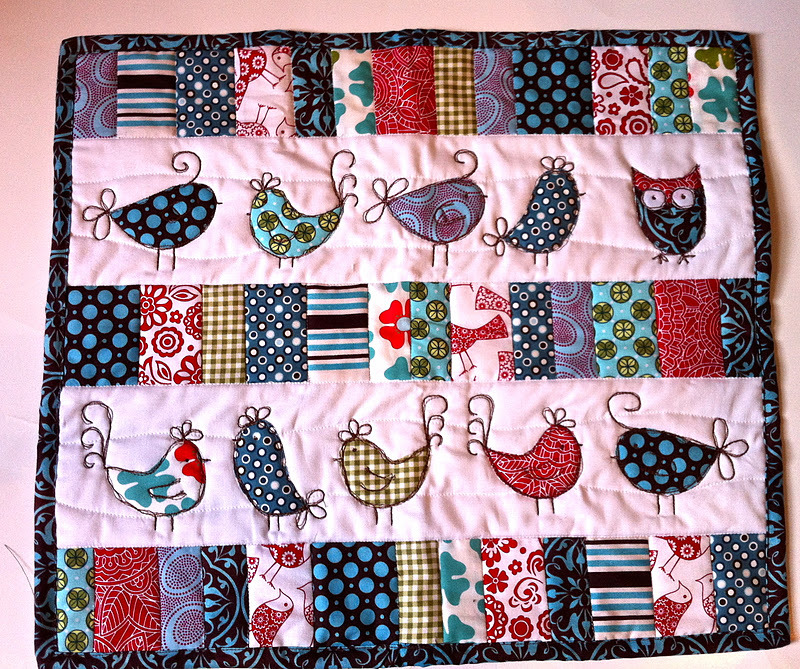 I had thought of having a show-off-your-best-sewn-gift kind of blog event, but I figure everyone's going to be doing a lot of that in the next couple of weeks anyway. So I propose something a little different. It will take some thought and maybe a little online picture-collaging, but I think it will be lots of fun. The thought actually occurred to me recently in the shower that it would be great to write a post rounding up the best of what I've made in 2011. I've been sewing for nearly 4 years now, but this last year brought many changes and opportunities for growth sewing-wise, so I knew this would be an interesting blog post, at least for me to write if not for you to read. 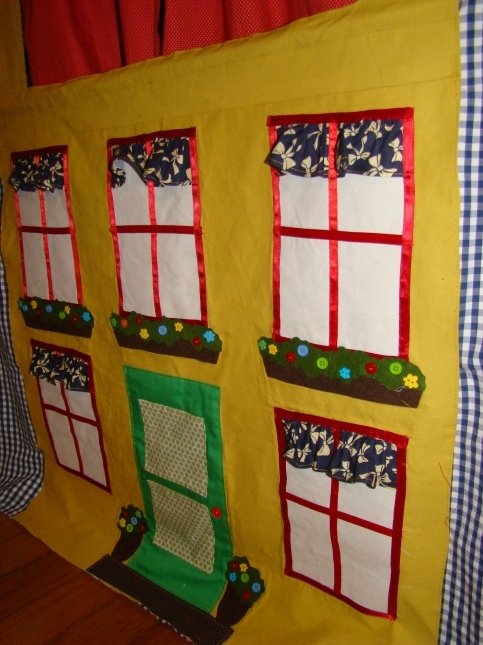 What new skills did you acquire in your sewing this year? 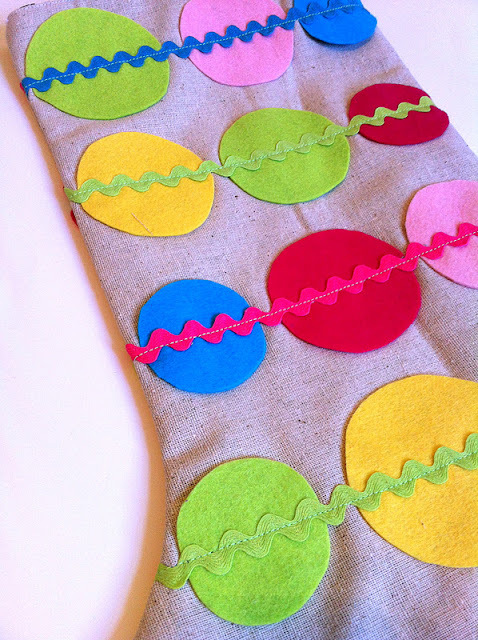 It could be as simple as sewing a straight line or as complex as... I don't know many complex sewing techniques, I'm not that complex. But maybe you turned into a full-on dressmaker or obsessed quilter- like me! What did you have the most fun making? What sewn item makes you happy every time you see it? What gifts were you able to make? How did your tastes change? 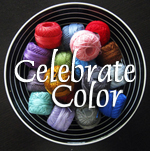 Did you find any new sewing community/ friendships, either local or online? 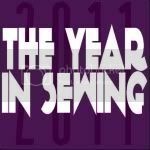 And I'd love for us to look ahead to 2012 sewing-wise as well. What new skills would you like to learn this year? What big projects are on your list? How are you going to make time (be it a lot of time or a little) to accomplish your goals? I'm not really great at making goals, but I'd like to be that kind of person. My goal is to make more goals... And also accomplish them I guess. But I have to take the time to think about it and put it out there, so this will help me. What about the pictures you say? Oh yes, we want lots of pictures. You don't have to include every single thing you made this year, unless you want to. But a good way to boil things down is to make picture collages. You can do that for free on picnik.com or Mosaic Maker. 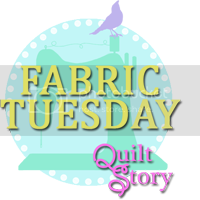 I think this whole thing will be such a fun way to meet new bloggers because we will get an idea of your whole "sewing persona" rather than just a small taste. Really, it's up to you what you make this post. I know that I'm not often the most reflective person, but I think there is so much value in thinking about where we've been and where we are going. That's what I love about the New Year. 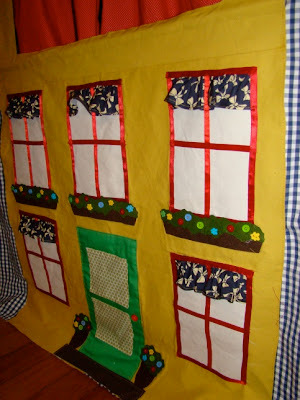 So why wouldn't we do this with our most beloved past time of sewing? Keep it positive! This is meant only for encouragement and community. Don't start looking at anyone else's sewing accomplishments and get down on yourself. Dude, if sewing blogs make you feel inadequate rather than encouraged and inspired, then close the laptop. We all have different things going on in life, but we are all making completely unique creations that only we can. Who cares if you only had time to make 2 things all year? You are awesome. Show us. Spread the word. Link up here when you post, you can use my button up there if you'd like. (I swear, I will punch a puppy if anyone emails me and says that code doesn't work. Just kidding, I love puppies. And constructive feedback.) 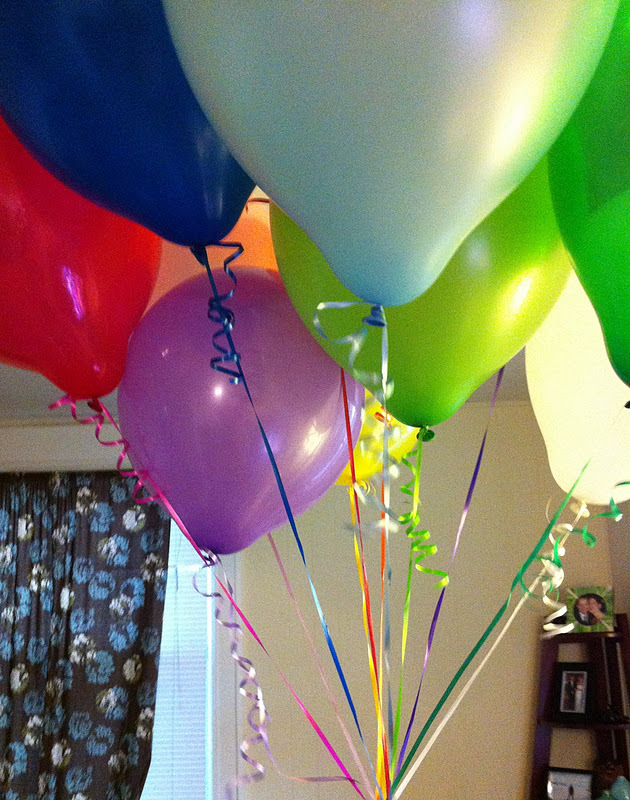 I'm really excited about this, so it would also be great if you could mention it on your blog before the party starts. No one likes New Year's parties with like 3 people there right? Keep it to sewing. I like other crafts, nothing against them. I'm honestly uber-impressed that you learned woodworking/ paper-mache/ knitting/ body painting/ glass-blowing/ cat-hair crafting/ basket weaving this year. We just have to focus somewhere. You understand. Keep it super-duper positive. This may sound similar to #1. It is. After all, you've accomplished a lot. Some of us are easily distracted, so thanks for reading this far into my crazy plans. Who's in?? Elsie is no longer stockingless. Phew. 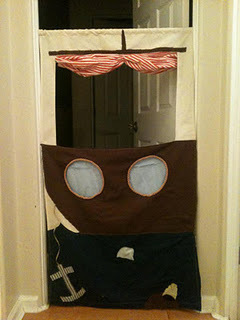 It's inspired by this one I saw from Land of Nod. Mine has a different shape, but I like it's chunkiness. 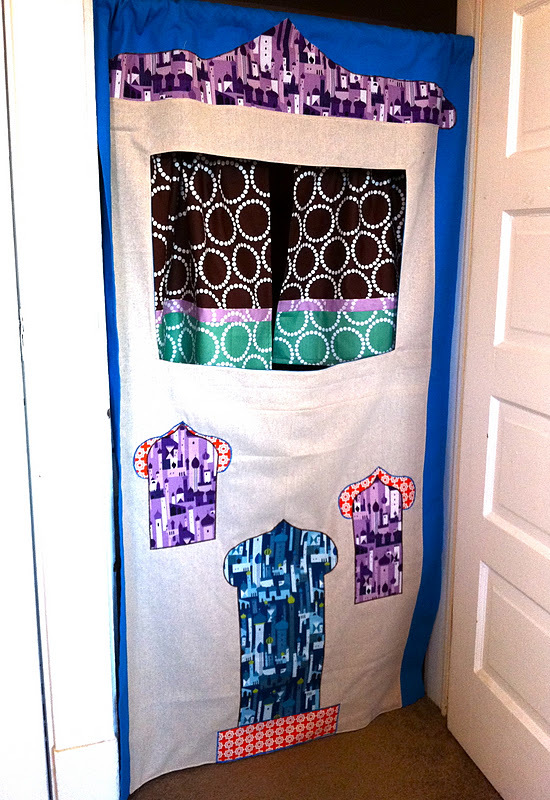 I used that linen I use for everything (like here, here, and here) and felt and rid rac from Sewn. I love the graphic print on the inside too. I'm so happy with the way this turned out and how bubble-gum happy yum-yum candy Christmas it is. That is not how any of our other Christmas stuff is, but none of that really matches either. 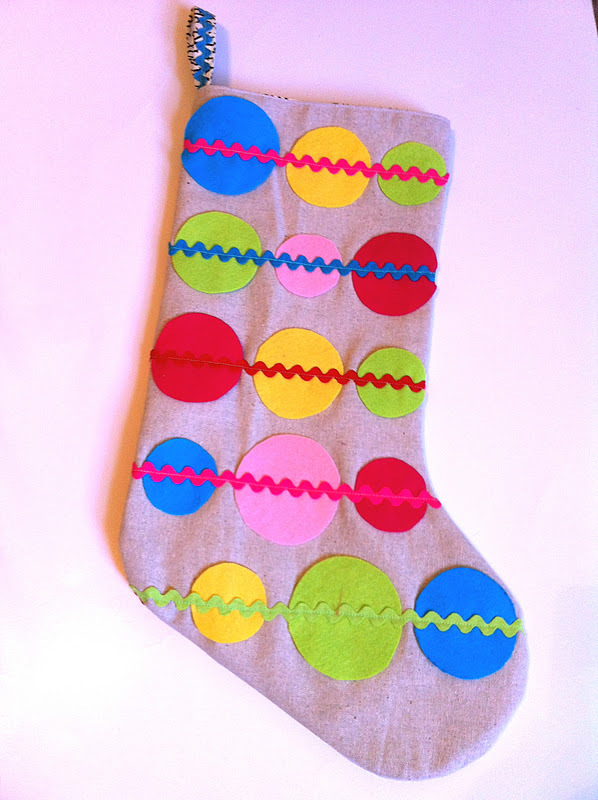 I like our mismatchy stockings for now, but there might be more stocking making going on next year. 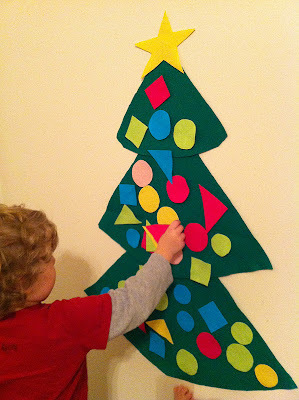 I used the leftover felt and some green I already had to make Hendrix his own tree to decorate. Simplest thing ever, but he was beside himself squealing with joy over this felt tree. See Angela's much cuter version here. I have been sewing gifts like a mad woman all week, but I still have a lot to do. I love the pressure though, feels like college days. I'm sure I won't be checking back in here until after the holidays, so have a very happy Christmas! Whoa. Your theaters? AMAZING. I know you already saw them, because that's the point of a link party, but here's a review in case you missed it. Sarah's colors are just perfect. And how much do you love that little round window? The brilliant Stacia decided to make it a pirate ship and it came out stupendously! And guess what? She doesn't even own the book, she just really wanted to make this for her son. She's a pirate of sewing. Yar. Sarah's attention to detail kills me! Her little windows are perfect. And I love the bows on the curtains. I'm so excited that you guys made this! Isn't it cool how completely different each one is? 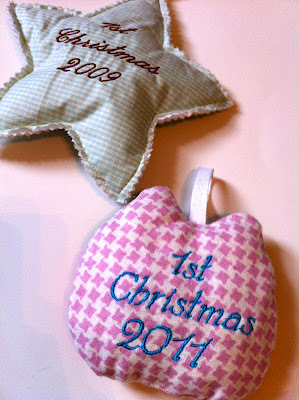 Lots of other cute projects this month too, can't wait to make some of those mittens and hats. 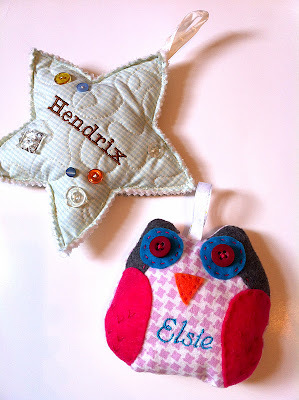 Out of all ten entries this month, the winner of the 2 pattern pack from Owly Baby is Sarah of Heirloom Farmhouse! And who gets all this great loot? According to random.org, out of the 4 puppet theaters made, it's Sarah B! The Sarahs sweep all. I'll be emailing you ladies. So on the Sew-Along schedule I said we'd be making the winter hat from the book, or it would be a good time to take a break. Well, that's still true. I do plan on making one of those hats for Elsie this month, but I'll also be taking a break from doing any more sew-along posts until January. I have no prizes or anything, so feel free to make whatever, but we won't have a LTTSA link-up. I was thinking it might be fun to just have a link-up the week after Christmas where anyone can post their favorite handmade gift they gave this year? 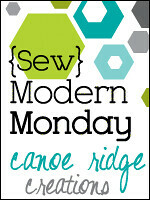 It would be great to see what other kinds of things all the sew-alongers make, and to include anyone and everyone else. But then we'll be back with a bang in January. All those new bears and dollies will need cute little carriers, right? It is an inevitable phenomenon. If you count yourself among those who avoid the stress of Christmas shopping by... um, spending much more time and maybe even money on making gifts for your loved ones, (you know, so much less stressful) then you probably know the tantrum I'm referring too. 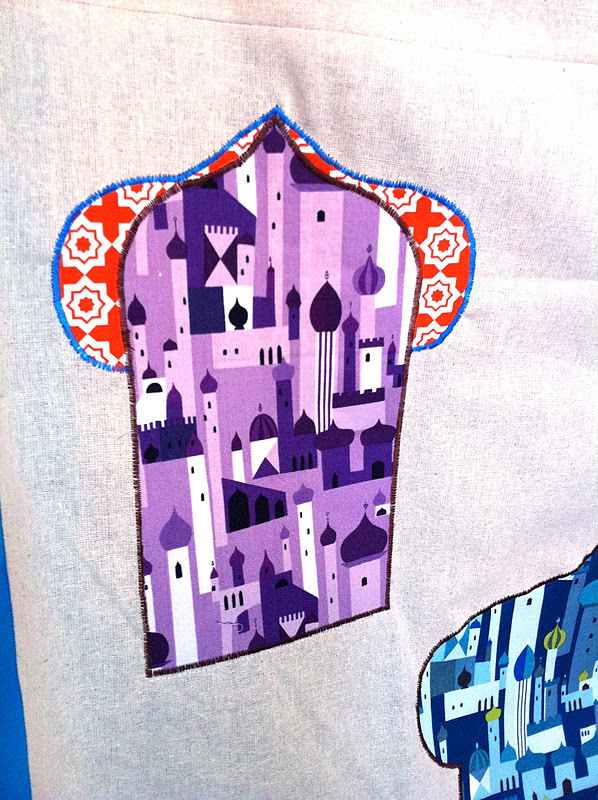 "So many different Christmas projects I should be working on by instead I cut out a new bag for myself." I cannot for the life of me stop making these Japanese + & x blocks. Why? 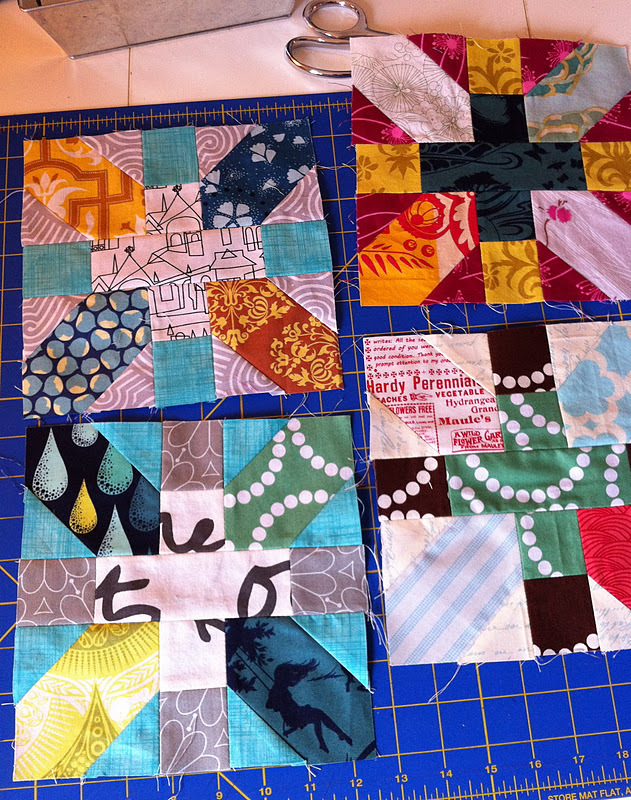 Oh you know, just for a scrap-busting quilt that will be a very slow-going and I might finish in 6 months to a year. It's completely unreasonable, but I'm addicted. I even have 3 more than this done now. My fave so far is definitely this bottom left one with all the Tula Pink. I'm not even sure what led me astray to starting this project... but it's really fun. 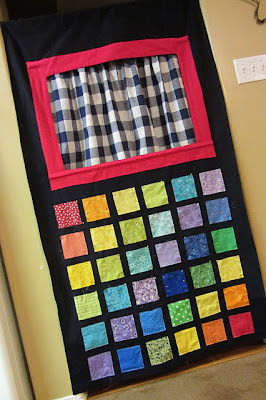 I've been thinking of a quilt to make using just scraps for a while now in the back of my mind. At first I thought this design was just a little too scrappy for my tasted, but I'm over that. It looks kind of like my scrap draw threw itself up into this pattern and I love it that way. Almost eye-searingly scrappy, but I don't care. I think it's so addicting because of the freedom. 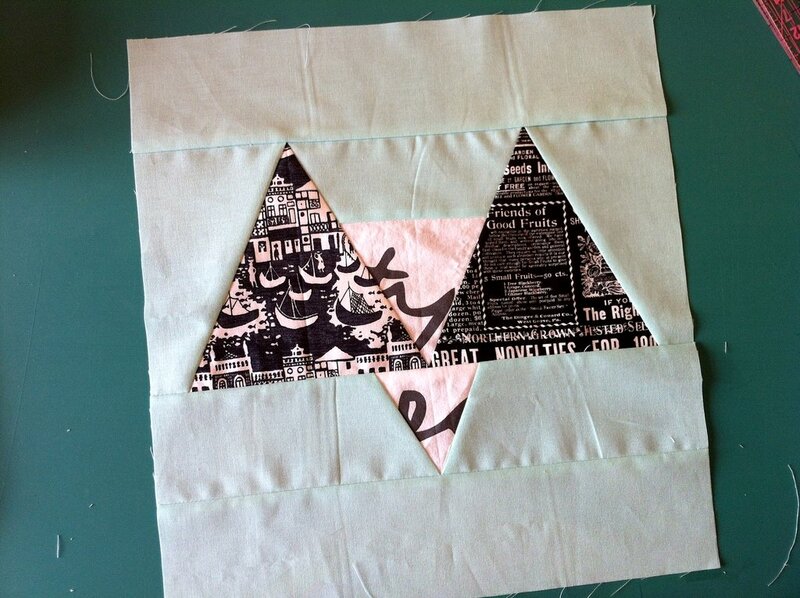 Each block has 7 fabrics, and so you plan each one independently. No forethought as to how the whole quilt will work together, it just works out in the end because it's so mismatched that it matches. Also, with each block I'm nostalgically thinking back on what that fabric became in a former life in my sewing room, which is also really fun. December means lots of making going on, very little time to blog about it. 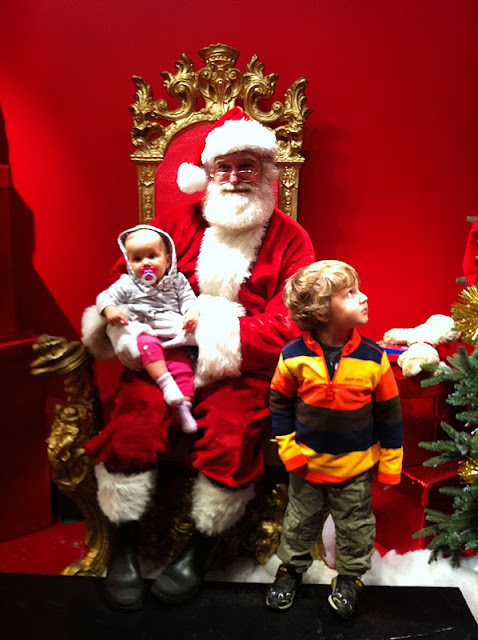 Also, blogging is not exactly discreet this time of year. So I'm gonna be sporadic and undependable around here, but you guys are used to that shenanigry. Here's one more gift I gave early though. It's a tree skirt I made for our bestest friends, Edie and Nathan. (By the way, if you are looking to get married in Ohio, he takes pretty fantastic pictures of such things. I'm just saying.) We have a Thanksgiving dinner with them every year, either the weekend before or after the holiday, so I gave it to them then. 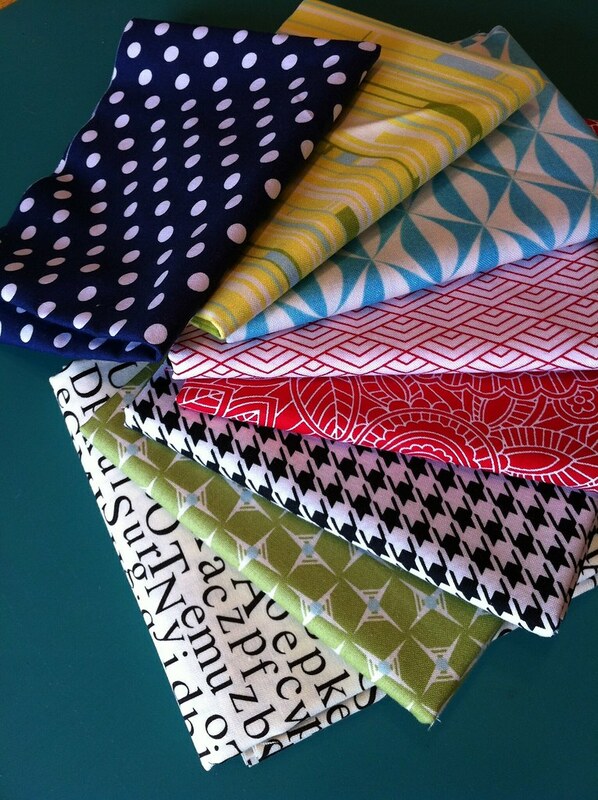 The fabric is that linen I always use, plus a couple of Cloud 9 Nature Walk prints from the shop. I've always thought that collection could be very Christmasy. The trim is also from the shop, it's pre-made bias binding from Moda Bella solids that you can buy off the roll by the yard. Greatest thing ever. It's a bazillion times softer than the pre-made stuff you can get at bigger chains. Although you now I love making bias tape, when you just need a nice solid one, this is a life-saver. They just re-did their Christmas decorations last year to be all red-and-brown-woodsy-looking, so I think it works pretty well under their tree. I kind of want to make one for myself and everyone I know now, but that probably won't make the cut this month. At the top of the list next is a stocking for Elsie, and I plan on knocking this one off. Fun, right? 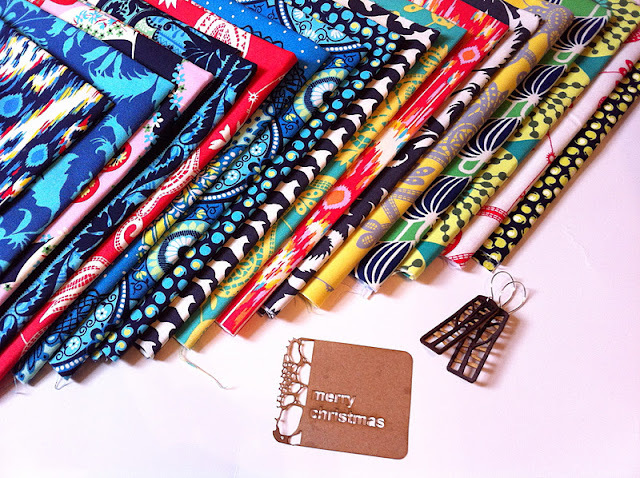 Happy Christmas sewing! Man, it feels really great to be done with my biggest Christmas gift project this early! I'm really happy with it and love the 1001 Peeps fabric on it, although it's not without it's problems. The biggest problem is that it's too big for our door frames. Simple measuring could have fixed that, but I'm not one for much forethought and convenient results. But I did kick myself for that. It fits ok, just a little bunched in. The other problem is that I didn't have any tools to be able to cut those thick dowels down to 28". So the part below the theater window is saggy for now, but I'm sure I can borrow something from someone to fix that problem. The biggest issue with this is that Hendrix got up from his nap while I was photographing it and his present is now a little ruined. The good news is he was really excited about it, and I'm hoping not seeing it for a month will elicit the same response on Christmas. Of course, by then it will have some new puppets to go with it. (probably store-bought. Ikea actually has really cute cheap ones.) I also might dress it up a bit more by sticking some of the Peeps people on the front. I think the curtains are my favorite part. I'm really glad I decided to put that strip of purple in it to pick up on the purple towers. And, yes I made the windows crooked on purpose. I had them placed all centered and even, and after staring at it til my eyes hurt, I finally figured out that it looked too nice and neat. They needed to be crooked like the windows on the print. So, it needs some minor tweaks, but I really like it and I'm glad to know he will too. As I was making this, I realized that it was a LOT of work and took much longer than I had anticipated. That's why I decided to reward the efforts of those who made this particular project. As always, I would love for you guys to link up whatever project from the book you made this month, big or small. I know not everyone had the time/ desire to make this one, in fact I'm expecting 5 or less of you did, which is fine and great. Everyone who links up anything will still be entered to win the pattern package from the lovely Owly Baby. BUT! I will then do another drawing including just those that made the puppet theater and that winner will get an awesome prize package made up of my very own awesome destashings. One back issue of Stitch Magazine, full of free patterns. Ziploc stuffed with nice scraps. What? I know, awesomeness. I'm mostly doing this as a reward for your hard work, not a motivation to get more people to make it (although, hey you still have a week from now.) And as an excuse to get rid of some things that are nice but I don't have room for anymore. And because I'm just so happy to have you all sewing along! Can't wait to see what you've made this month! She wasn't actually disappointed at all, she was thrilled to have a quilt made for her and really loved it. 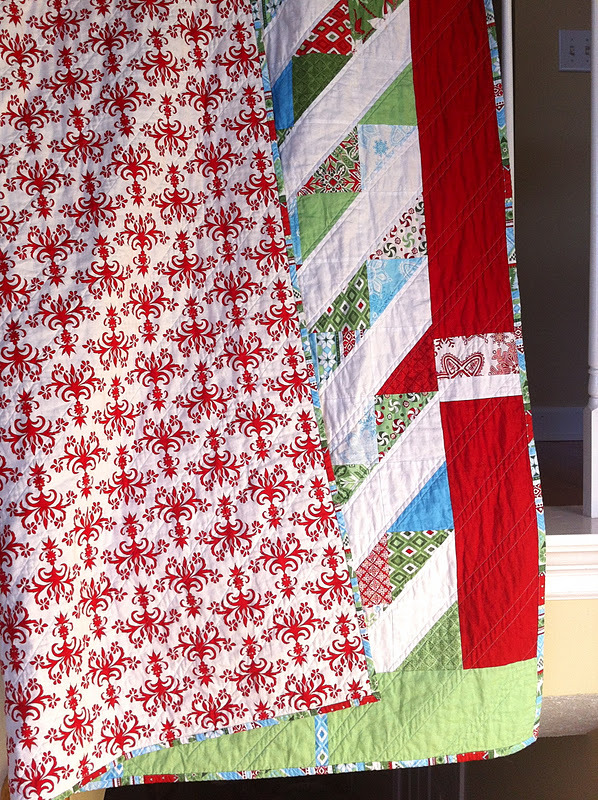 I used 2 charm packs of Kate Spain's Flurry line along with 2 charm packs of Bella white to make all the HSTs. 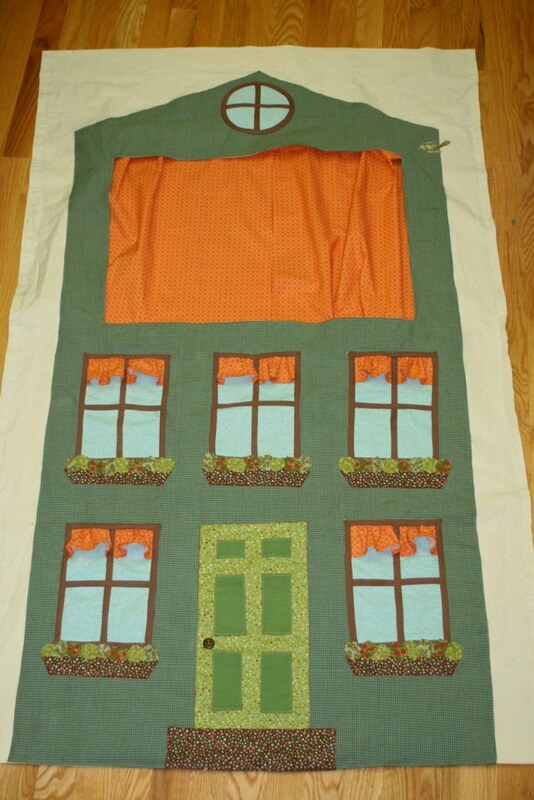 Then I decided I wanted it a little bigger, so I got some Flurry yardage and added borders. I like the way it came out, but I can't help but wonder if it would have been better to use the solid red all the way around. Oh well, the green is pretty too. 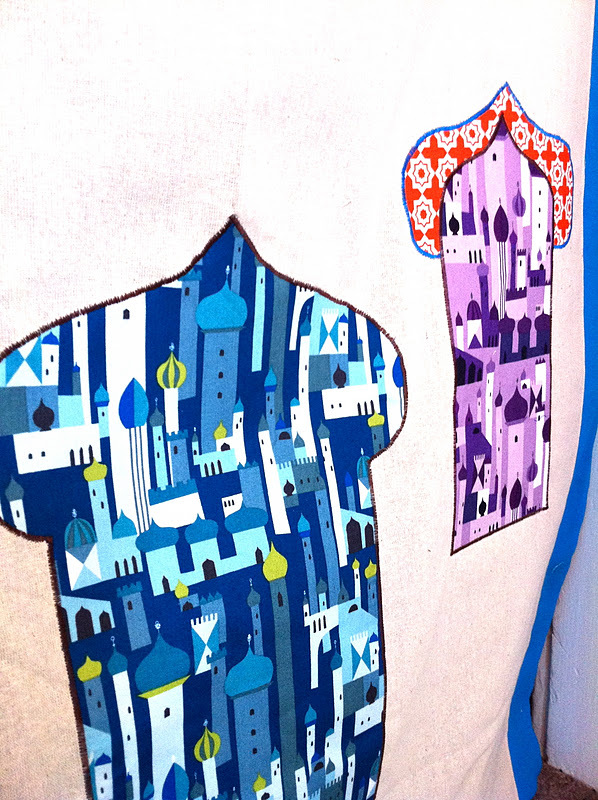 The back is all one fabric, (what?!) an old Valori Wells print that matched the red and white of the quilt perfectly. I had 8-9 yard of this on hand from an old random Christmas project, so I was happy to use up a good bit. 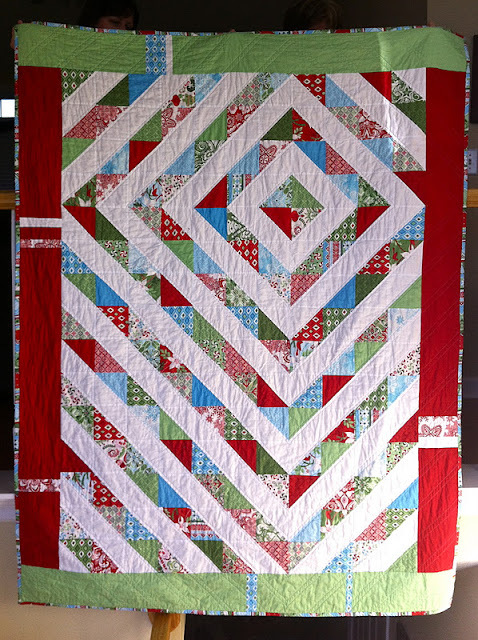 The quilting lines are about 3/8" on either side of the seams that form the diamonds, and continued out that way onto the borders. It came out to 72" by 58." The binding is fun, but sometimes I wish I had used a calmer print. 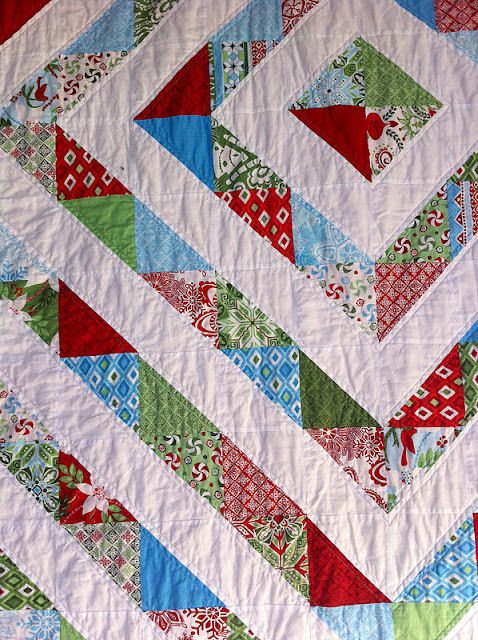 And Christmas fabric in general is not my favorite, but this line is pretty and I was glad to get to try this off-center diamond design that I love. This is one of those projects that has several very small regrets (like also wishing I hadn't spilled coffee on it while I was in the middle of quilting), but overall I'm still happy with the end result. And most importantly, mom loves it. This is the block that reminded me of that fact. So this month, I'm the quilter for my circle of Do. Good Stitches, which is a charity quilting bee. 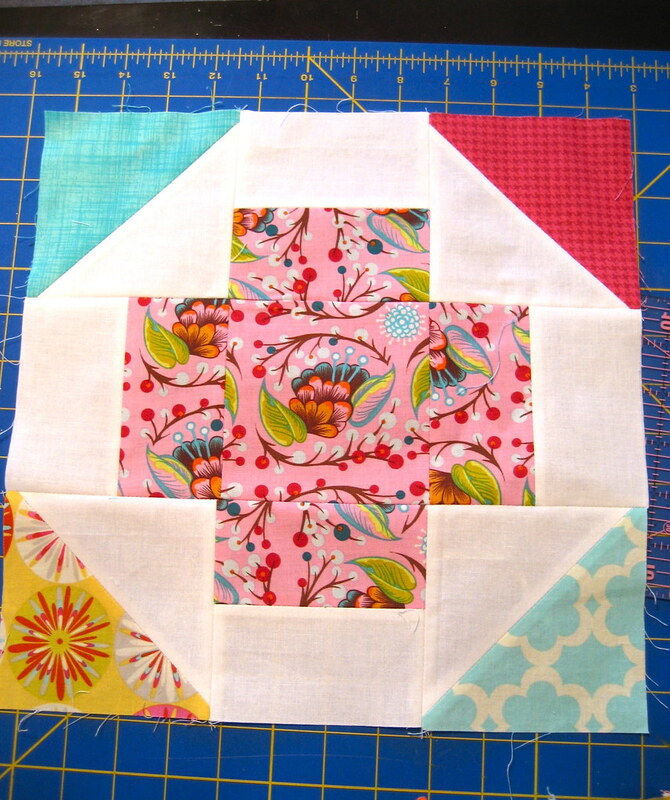 If you don't know how it works, there are ten of us that make a couple blocks each month and send them to the "quilter" who picked out the block and the colors of the design and will put all of the group's blocks together and finish the quilt. Well, for my first time in this responsibility, I went ahead and chose something that would make everyone hate me right off the bat. Seriously, I bet they were/ are all cursing my name while making these babies. I know I was. I've only made this, the first of my two, because I was just too exhausted to move on to my second. The seam ripper did get put to use, and as you can see it still has plenty of issues. This is the tutorial for the block. When I first saw it back in September, I thought it was so cool and unique and would be great as an entire quilt of these triangles. I didn't really think about how tricky those angles would be in reality. These are my Greek cross blocks from last month. Denise is an amazing quilter and has already made them into two baby girl quilts that you can see here and here. 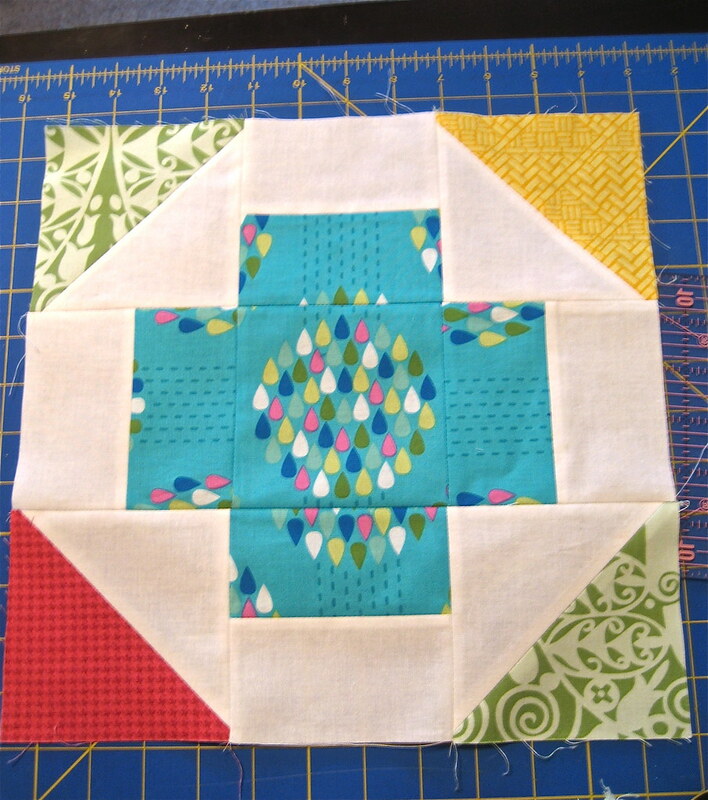 I'd love to make a whole quilt of this block some day, it's a really fun one. I'll leave you with a picture of pretty folded fabrics. Who doesn't love those pictures? I'm in TN at my parents' for Thanksgiving, and yesterday I went to a local quilt shop with my mom. It was just called "Sewing and Vacuum Center" and the outside window was covered in weird paintings of Disney characters. I did not have high hopes. Well, wouldn't you know I found lots of things I couldn't resist. Never judge a quilt shop by it's cover. 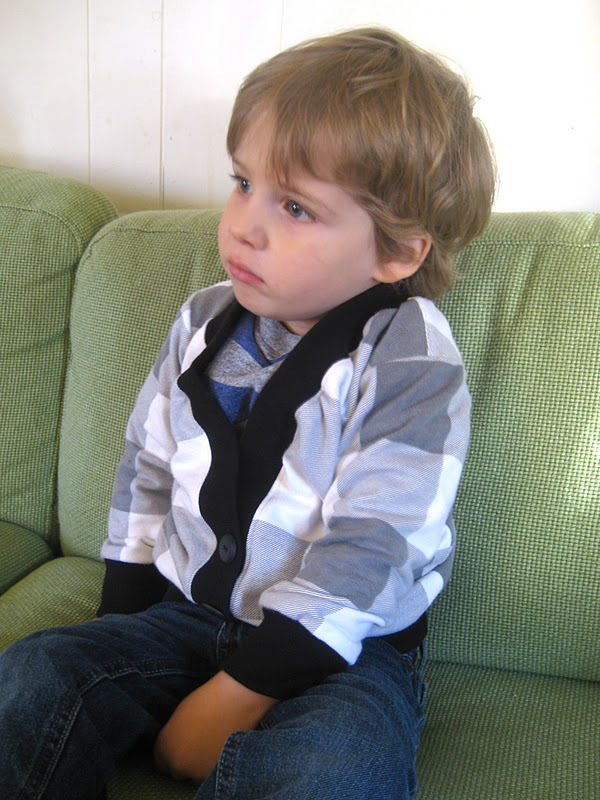 This is my version of the Darling Cardigan by Owly Baby, this month's LTTSA sponsor. It's not perfect, but I kind of love it. 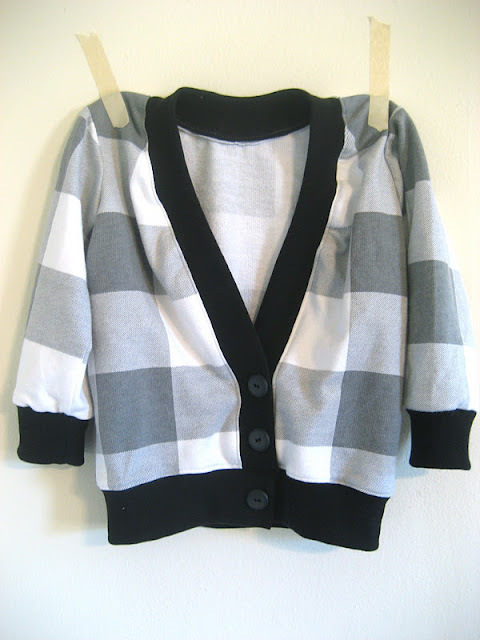 It's refashioned from one of Nick's old hoodies that was covered in holes. I somehow managed to cut out the pattern pieces while avoiding the holes and centering the plaid. Bonus. This was not my first time working with knit, but it was my first experience with ribbing. I'm a big fan, however I did seem to miscalculate the length of ribbing I needed around the neckline and front. That's why it's a little too stretched looking around the neck area. Also, here's a secret- The button placket is completely fake. I've only done button holes on my newer machine, which is still in the shop. I didn't feel like figuring it out on my other machine, so I just faked it. It's easy enough to pull over anyway. I left it at just 3 buttons because I think it looks much more grandpa-ish. Which suits his grumpy post-nap demeanor here just fine. 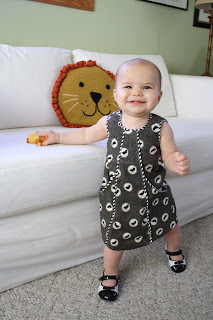 Next time I try an Owly Baby pattern, it will most certainly be this adorable City Jumper. Those pockets are killing me. And you know how I feel about piping. Good news! 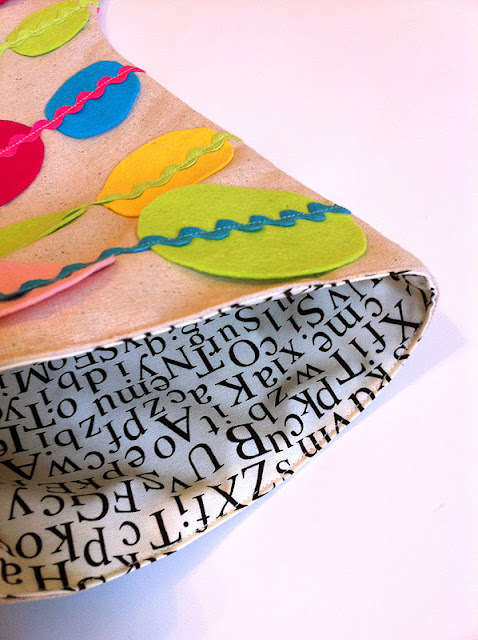 Becky of Owly Baby is not only sharing her patterns as our giveaway prize this month, she's also offering all of my readers a coupon code. For 20% off purchases of individual patterns (not bundles), enter LTLGRAY20 from now until the end of November. Go!